We did it! Thanks to our generous donors, we met the $98,000 goal for our campaign to Free The Donkeys from suffering! This campaign is now closed, thanks to our donors, who helped us reach our goal. A fundraising appeal to alleviate the suffering and mortality of horses and donkeys in Ethiopia. When working horses and donkeys carry heavy loads to market for several hours over many miles in Ethiopia, they are often tethered in the hot African sun all day, with their tongues/jaws tied down. their packs still loaded on their weary backs, with no shade or shelter, while their owners sell their goods. Then the hot, tired, dehydrated animals carry the unsold goods many miles home again for the night. Even once they arrive at home, many animals will still not receive water. Brooke veterinarians have identified that the major cause of mortality among these animals is colic due to dehydration. They desperately need shade shelters with water and feed in the market areas - not just to make their lives easier, but to actually save their lives. Brooke's shade shelters allow these tired little animals to have respite and some freedom from the sun, heat, and flies, then have a drink, a meal, and a rest before they resume their long journeys home. In two previously constructed Brooke shade shelters in other market areas, the number of equine deaths due to dehydration fell from 87 to almost zero, and the number of equines who were lost to theft fell from 54 to almost zero. Donkeys often carry or pull huge loads for many miles to reach market areas and have no relief from the sun or their hunger and thirst once they arrive. With your help, Brooke will construct massive shade shelters for animals like these. Brooke shade shelters are constructed differently, depending on the location. But all are highly functional, providing plenty of air circulation, and can comfortably and safely hold many animals at a time. 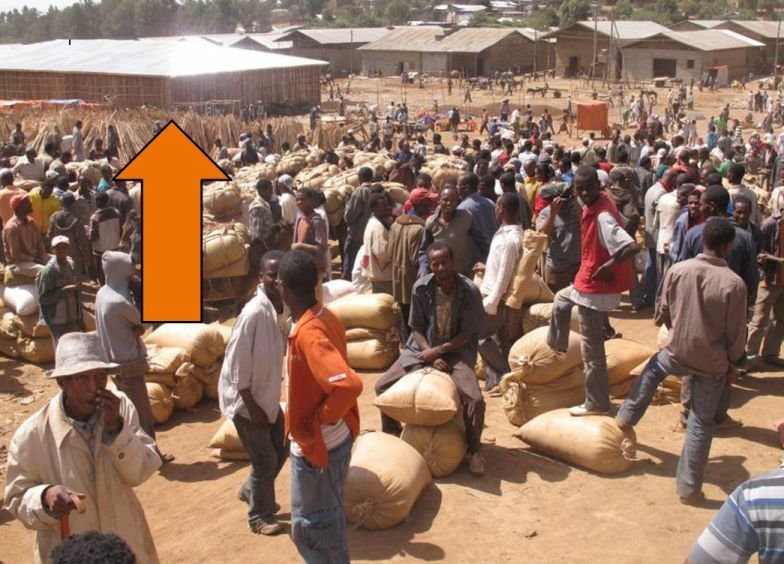 This is a previously constructed and very successful Brooke shade shelter in a busy market in Ethiopia. This is the type of interior that will be constructed through our Free The Donkeys campaign. The concrete walls and open wood doors help to keep the shelter cool. Animals are unloaded and brought inside for a meal and water while they rest and wait to be reloaded for the long walk home. Horses are also victims of the heat, overloading, and dehydration, like these at the Hosanna Grain Market in Ethiopia. With Your Help We Reduce The Immediate Suffering Of The World’s Most Vulnerable Working Horses, Donkeys And Mules, Achieve Global Impact And Make Sustainable Improvements.